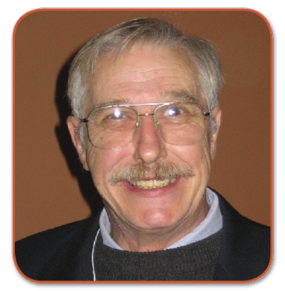 Ron Davis has developed the NOIT over 30 years of working with Autistic individuals. Born a “Kanner’s Baby”, Ron predates the word autism. He developed very limited language skills, and at the age of 12 he was labeled with “uneducatable mental retardation.” Between the ages of 12 and 17 he developed reasonable receptive language skills, but his expressive language remained similar to a three-year-old. At the age of 17 he was given IQ testing and labeled “genius.” This was followed by speech therapy, which produced marvelous results, and at the age of 17 he began to speak in sentences. He went on to become a successful engineer, artist, and author. What began as an attempt to help children like himself has been realized in the development of an educational tool to assist not only individuals with Non-verbal Autism, but anyone who wishes to improve focus and attention. Attached to the user’s upper back with a gel pad, the unit emits a specific non-obtrusive sound which helps the user to learn to perceive their environment correctly. The user learns to be present in the environment so positive skills can be learned. Users report better focus and attention, social skills, expressive and receptive language, gross and find motor control, and less inappropriate repetitive behavior. Explore this website to find out if we can help you or a loved one to participate more fully in life.